If your client has just too many people for one bathroom, or they have more than one bathroom in their home, that’s great! Offering Ensuites on Tow to your clients can allow you to renovate both bathrooms at the same time without completely inconveniencing the household. Additionally, offering this service to your customers could actually help generate work for your business when your clients have no alternative! 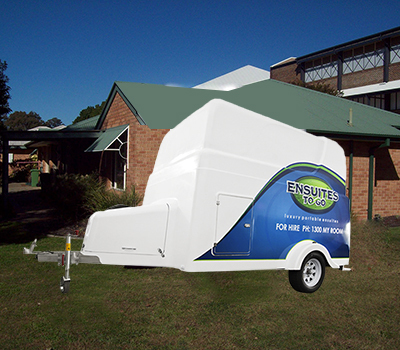 Whether your clients require a single bathroom or multiple units to cater for numbers we can assist you. We can tailor a package to suit your individual client’s needs, incorporating others services and or equipment as required.